Having been in search for the last few years, I’ve not really had much involvement in email marketing. I saw this as a massive skills gap, and one I set out to change after I started working directly on our product, URL Profiler. 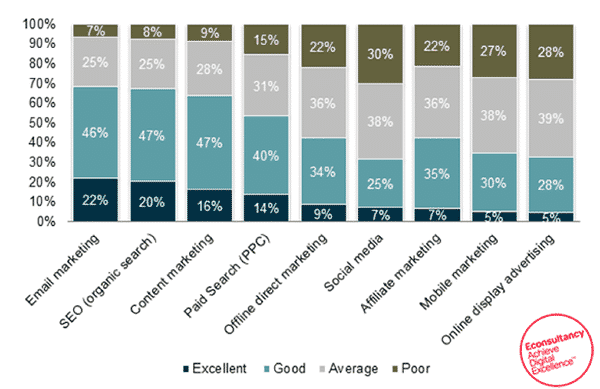 There are plenty of studies which show how marketers are still achieving an excellent ROI on email marketing, particularly since it remains a relatively cheap channel. Our first concern was handling trial users and customers – as there were various transactional and behavioural messages we wanted to send out. We played around with a couple of systems to help us manage these, and they’ve been working quite nicely. So far so good. But what about people who don’t know us yet? That’s where List Building comes in. If we could convince enough people to sign up to our email list, over time they might be sufficiently impressed with our content to give our product a try. In the meantime, they might help amplify our content through social media and other channels. We attended Distilled’s conference SearchLove earlier this week (which was great, as ever). One of our good friends Ade Lewis was speaking on the first day, and he really wanted to give away some tools as part of his presentation. He asked us if we’d be willing to help, and of course we obliged. I saw it as the perfect opportunity to test out a list building methodology which Brian Dean (AKA Backlinko) refers to as ‘The Content Upgrade’. He makes a convincing case – offer readers of high traffic posts a free download of a piece of content with specific relevance to the post itself. All they have to do is give you their email address. As you can see from the headline above, Brian has seen dramatic improvements in sign-ups to his mailing list. So we set it up. We built a free tool that Ade could give away, a tool that scrapes Twitter list members for you to use in custom audience campaigns. We wrote a post about how it works, integrated LeadPages with a nice call to action box, hooked it into Aweber and set it live. This is ok, right? Click the link above to give us permission. We were using double opt-in and everything. And users did start giving us permission. Very quickly. It’s enough to make you feel like a marketing genius. On my return from the conference, and pleased with my success, I set out to find ways I could fine tune the process. I’d barely started before a Twitter ad did my research for me. HubSpot. They specialize in this sort of thing right? Lead Magnets and all that jazz. 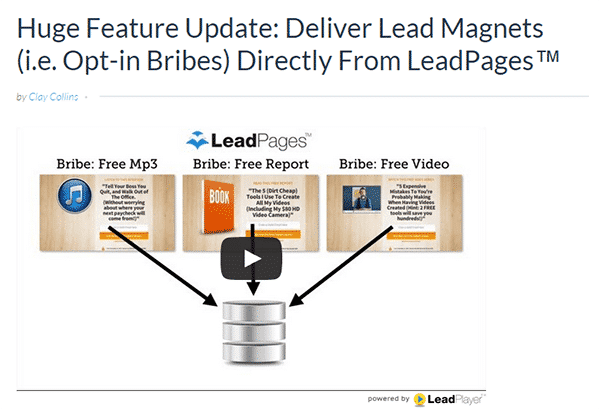 This looked perfect, and had already shown me another way we could promote our ‘lead magnets’ – through paid social ads. Their ad took me to a dedicated landing page with a massive form, which I duly filled out. I got taken to the download area, where I could download the resources they had provided for free. In turn I’d given them permission to add me to their marketing list. I didn’t tick that box, does this means I’ll still get emails? Did I really just give them permission to add me to 19 different email lists? In fact, I felt pretty shocked by this. Like any good internet marketer, I took to the social media-waves to assert my dissatisfaction. Is David right? Is this the fabled ‘inbound marketing’ we’ve all hastily adopted in our job titles? In amongst the normal old marketing vs new marketing definitions is the phrase highlighted above – ‘inbound marketing is synonymous with the concept of permission marketing’, an ideology popularized by Seth Godin. Are these things really the same? BUT this is the difference – just because I give you my email address, it doesn’t necessarily mean I give you permission to email me. 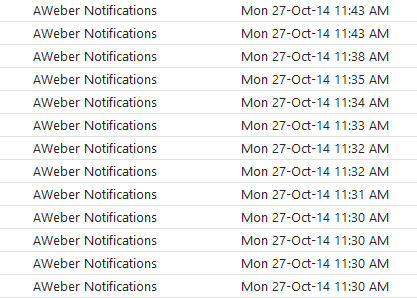 Did I really think I was giving Hubspot permission to put me onto 19 email lists? Absolutely not. Was my ‘free tool’ tactic any different? No. I offered a free tool, they gave me permission to send them a free tool. That is it – nothing more. 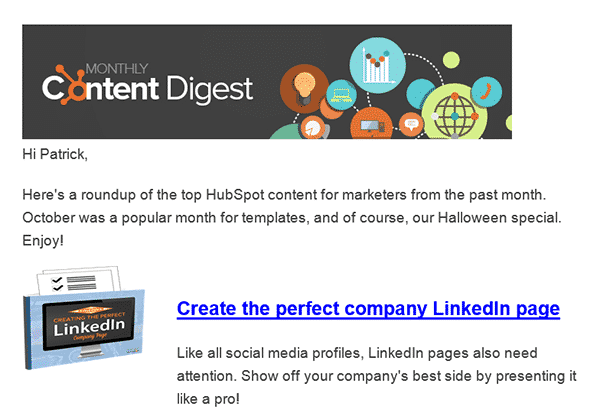 This post may come across like I am Hubspot-bashing. That isn’t the intention. Although I do feel that such well trusted thought leaders in the field should be setting a better example. Either way, it was through examining their methods that led me to evaluate my own, and I was not happy with what I found. In short, I feel like I’ve been cheating. I knew all those subscribers didn’t really give me permission. We are a professional business. We have to ask ourselves – are we morally comfortable with bribing people? It has also made me question the ethos of ‘inbound marketing’, and most certainly the assertion that it and ‘permission marketing’ are one and the same. I for one am not comfortable with emailing people under false pretenses. I don’t think its ok to just close our eyes and pretend we are getting permission. Since this philosophical…epiphany, I’ve removed the email-paywall from the blog post and now allow anyone to download the tool as they please. If they want to subscribe as well, there’s a box for that too. I’m not saying this methodology will ultimately make us more money, but that isn’t always the point. Yes – very well said! I had thought this might be industry groupthink on this for a while, but never put it into words. It also reminds me of what Ben Chestnut at MailChimp has spoken about over the years. If something is actually valuable, people will ask for it. It shouldn’t be a bait and switch type deal. Yes! That is absolutely spot on in that I give my email address in exchange for the asset and NOT because I want to subscribe to yet another email list. Now as a fan of URLProfiler I would happily give you my email address regardless, which you already have, but more to the point… “a tool that scrapes Twitter list members for you to use in custom audience campaigns”… where do I sign up? Inbound Marketing is such a cliche. It is another buzzword. I dont however like the way in order to download something you have to share it on a social media platform. Why should I give you free promotion. If your service or product was any good then I would recommend it. A big fan of marketing automation myself, especially HubSpot and Marketo, I subscribe to most of what you said. Inbound marketing should indeed not be used as an alibi to ‘spam’ leads with whatever content. A selective feed of relevant content can make all the difference, used in the proper context and ideally triggering the right emotional response (rather than blasting yet another update full of technical wizardry as most B2B players tend to do). 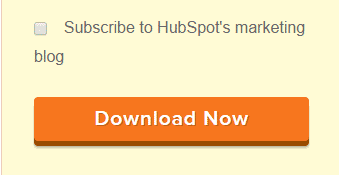 Perhaps HubSpot have gotten a little too eager lately in the run-up to their IPO. Having made clips like this one on permission marketing, I believe HubSpot carries the right messaging and mindset about inbound. More importantly, the inbound philosophy, methodology and toolset HubSpot offers, provides great value to those companies that use inbound wisely. I hear what you are saying regarding context, and I don’t believe that HubSpot are necessarily guilty of spamming their email subscribers (I don’t think they would be that stupid). However – this is where I disagree with you – I merely think that HubSpot have done a good job convincing the world that they are ‘doing good.’ They certainly don’t practice what they preach, at the very least. For example, they consistently bang their drum about inbound not being interruptive, yet interrupt my Twitter feed with their ads all the time. 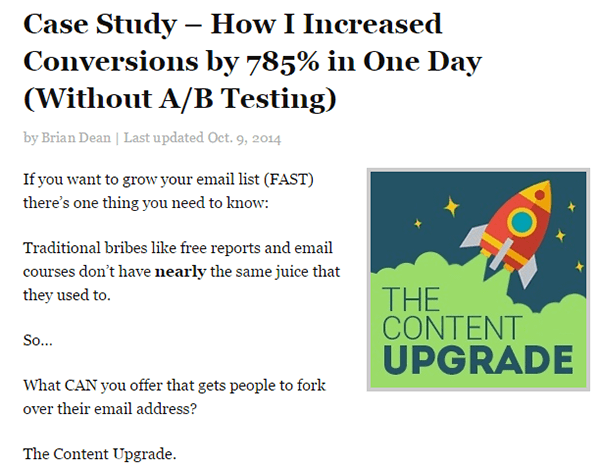 The entire basis of permission marketing is undermined by their ‘lead magnet’ methodology I outlined in the post. 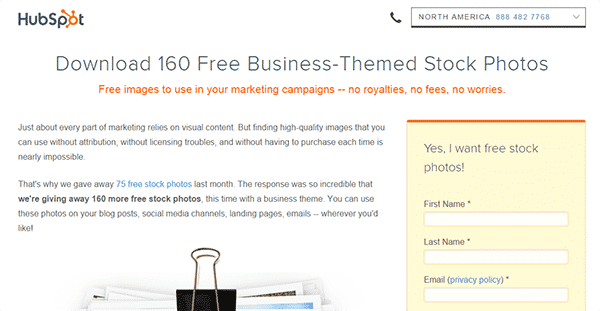 There is tons more content like this – they quite clearly advocate (and have done for years) that you should build an email list through offers where users don’t give you permission to email them further. I’m not saying it’s not effective. I’m just saying it’s not permission marketing. I couldn’t agree more with your post premise. You provide solid examples and follow them through. It’s akin to SMBs adding you to their email list because you traded cards with an employee at a networking event or conference. You know those hug bowls at the front of the restaurant to put in your card for a chance to win a dinner for two …. same thing. It’s tempting but without permission, one has to question this type of marketing approach and it’s efficacy. Just because I commented on a blog post, doesn’t mean I gave you permission to market to me. Some commenting plugins try to skirt the issue by having a checkbox that is checked by default. I am OK with the checkbox, but make me actively check it like to do on a software end user license agreement, which like privacy policies, no reads, but they have to actively agree to. Permission = informed consent. Awesome post and worth reading even before the crack of dawn, without a single yawn! Thanks Rick – and gotta love the Inbound.org irony. I guess the sad thing is that this type of practice will simply erode the effectiveness of email over time.